KidzMusic | KidzMusic Goes Taffy! 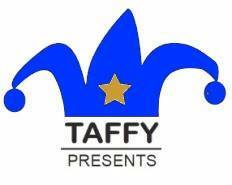 26 Dec KidzMusic Goes Taffy! KidzMusic is partnering with TAFFY (Theater Arts Festival For Youth — taffypresents.org), a thirty-year old non-profit created by our own John Wood and JP Nightingale partner Pam Wood. Their mission is to entertain underserved children through performances in venues small and big, from hospitals and schools and libraries to community theaters and baseball parks. Our artists are encouraged to check out their website and contact directors in your area of the country to see if there’s a way you can be of help to each other, and to the children that want to see you!